This project is managed by the Florida Department of Transportation and is being communicated to Sunny Isles Beach residents as a courtesy. The Florida Department of Transportation (FDOT) has completed the SR A1A/Collins Avenue Roadway Construction Project. 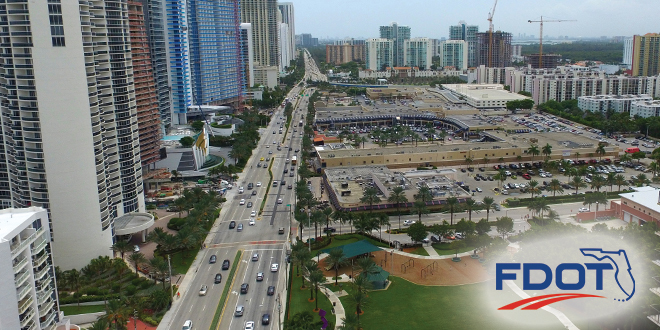 The project limits extend along SR A1A/Collins Avenue from south of Bayview Drive to SR 856/William Lehman Causeway/192 Street in the City of Sunny Isles Beach. The project started the week of June 19, 2017, and featured approximately $4.4 million in roadway improvements. The following work was done on the project: repaving and restriping the road, upgrading pedestrian ramps to current standards, upgrading traffic signals at various locations, installing a new midblock traffic signal on SR A1A/Collins Avenue between 178 Street and 182 Street; and adding signage and pavement markings. If you wish to learn more about this project, please contact Public Information Specialist Sandra Bello by email, sandra@hmlpublicoutreach.com, or by phone at 305.510.0827. You may also contact Kathy McLendon directly at Kathy.Mclendon@dot.state.fl.us or by phone at 305.640.7437.